Whenever there's talk of a superhero movie, fans of the original comic books will always wonder what major storyline might get adapted. This relies on the somewhat faulty assumption that Hollywood is interested in remaining faithful to the comics or that they are perfectly okay with just adapting an existing story as is. Time and time again we've seen Hollywood go in completely different directions regardless of what the comic book fans think. Sometimes the results are great. Many times they're very, very strange. X-Men: The Last Stand was a weird shift in the X-Men movie franchise and one that took things in that aforementioned strange direction. And while you could argue that there was at least an attempt to draw inspiration from different comic book stories. But at the same time, this was a demonstration how mixing and matching story elements and plot twists at whim can result in a major mess of a movie. It seems a modest miracle that the franchise survived the release of this movie. And what is even more impressive is that the current movies seem to have found a way to move forward despite this movie more or less existing in their overall continuity. 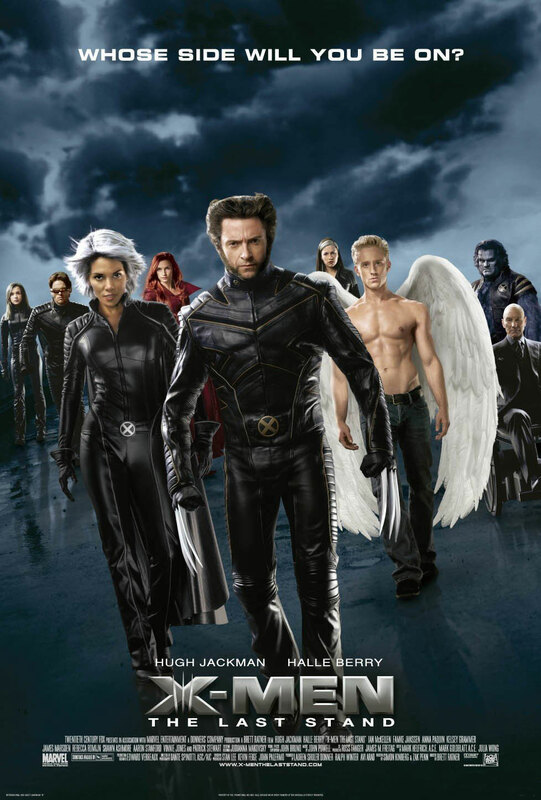 Synopsis: X-Men: The Last Stand or X-Men 3 is a 2006 superhero action movie. Previous director Bryan Singer was replaced by Brett Ratner. The screenplay was written by Simon Kinberg and Zak Penn. The movie starts with a flashback 20 years in the past that establishes that Jean Grey is actually an Omega-level mutant, and thus the efforts by Charles Xavier (Patrick Stewart) and Erik Lensherr (Ian McKellan) to invite her to their school. We also have a latter flashback showing a troubled Warren Worthington III trying to cut off the wings caused by his own genetic mutation. This scene wasn't all that necessary, but what can you? From a plot perspective they wanted to provide a blatant explanation for the research efforts of Worthington Lab's in the direction of finding a "cure" for these genetic mutations. True enough in the present day, they make such an announcement, offering a "normal" life for mutants everywhere. This triggers mixed reactions within the mutant community as some do hope to find a way to reintegrate back into society, especially those mutants who bear more visible signs of mutation. Then you have folks like Magneto, who immediately recognize the potential threat this "cure" poses as a way to de-power mutants against their will. And Jean Grey (Famke Fanssen) will have a major storyline of her own involving the Phoenix, but not the Phoenix you hoped for. The movie juggles a lot of story pegs that were previously explored in the comic bools. The big item about a mutant core has lingered around here and there, and could have been the basis for a pretty good story on its own. The Phoenix storyline is one of the most iconic stories in X-Men history and yet it seems here they only really wanted to take the name of the character and little else. Thus instead of an amazingly powerful cosmic entity moving from host to host, this time we have the Phoenix being some strange alternate personality of Jean Grey that manifests when she is unable to control her own Omega-level mutant powers. And I don't even want to get started on the whole Omega power classification. I guess that the movie also decided the follow the classic logic of bigger is better. In other franchises additional sequels meant increasing the number of villains for our heroes to face. In this movie we had more villains and more heroes and not to mention a bunch of random mutant characters on the sidelines who are really just there for the big fight scenes and to act like so much cannon fodder. To be fair, characters acknowledge this fact within the movie as part of somewhat typical self-effacing irony. But that still doesn't make things better. With so many elements in play plus the usual need to make Wolverine (Hugh Jackman) somehow central to the plot (because Wolverine is cool, according to the 90's), the folks behind the movie clearly had quite the challenge already. But of course as they pushed the story in the direction they felt was best based on barely logical progression of events and the warring of so many comic book plot elements, the end result was really, really sad. Oh, and did I forget to mention the departure of certain key cast members leading to a particular death far too early in the movie? X-Men: The Last Stand could have had a much easier time by choosing on particular comic book story arc to follow and just generally stuck with it. Instead we had so many ideas and unusual approaches that we were left with a pale shadow of a decent comic book movie. And it's such a shame since the franchise began by giving us so much hope for the genre. Thus I can only rate this movie as 2 moments of intense Jean Grey stares out of a possible 5.